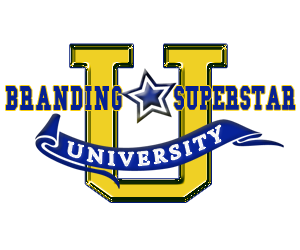 If you want to brand like a superstar, you need to get your website right. Today it’s all about SEARCH ENGINE OPTIMIZATION and getting on Page One in Google. You will attract those raving fans and they will adore you and they will buy into what you’re selling – if you website is working properly. But if your website is whack, well, you’ll get whack traffic or worst – NO TRAFFIC. If you don’t have traffic, you get no customers, no sales, no business, no buzz – nothing. You’re just taking up space and being frustrated. 2) Convert visitors into interested prospects that will take some form of action when they come to your site. 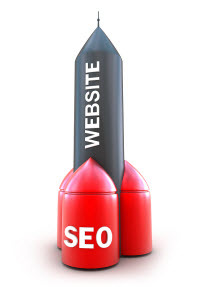 Website Optimization is all about making your website friendlier to the search engines. When Google likes you, it will make sure your site is easier to find online. It’s also about adding elements to your site that will convert your website visitors into interested prospects. There are two vital website optimization terms that you must know and understand, they are: Search Engine Optimization (SEO) and Conversion Optimization. Search engine optimization can be further broken down into On Page Optimization and Off Page Optimization. On Page Optimization is composed of elements that must be incorporated directly on your website, for example: Meta tag optimization, heading tags, targeted keyword phrases on each page, xml sitemap, image optimization, internal linking, and more. Off Page Optimization is composed of building links to your site from other sites and web properties. Most of those links should come from sites that are related to what your website is about. As an example, if your site is about cooking, you do not want a link from a site that’s about swimming. The more relevant links you have coming to your site, the more the search engines will think of your site as an authority in your industry, particularly if you have links coming from a site that already has got a lot of authority. The problem is that too many people target link building before they have optimized the on page SEO factors discussed above. One comes before the other, yet both (one page and off page SEO) are necessary if you would like to ultimately be listed higher than your competition in Google. As you know, the higher you are on the list, the more folks will see it, which equals more traffic to your website. When all those people visit your website you must have it optimized to grab their attention enough to get them to take an action. Generally, you want to include pictures, videos, sign up forms (so you can follow-up with prospects), and anything else that your target market is interested in. As you can see, website optimization consists of many elements, but the most important thing to remember is that you want to optimize your website at the same time that you are creating it. One does not come before the other. Make sure you download our free report to whip your website into shape.